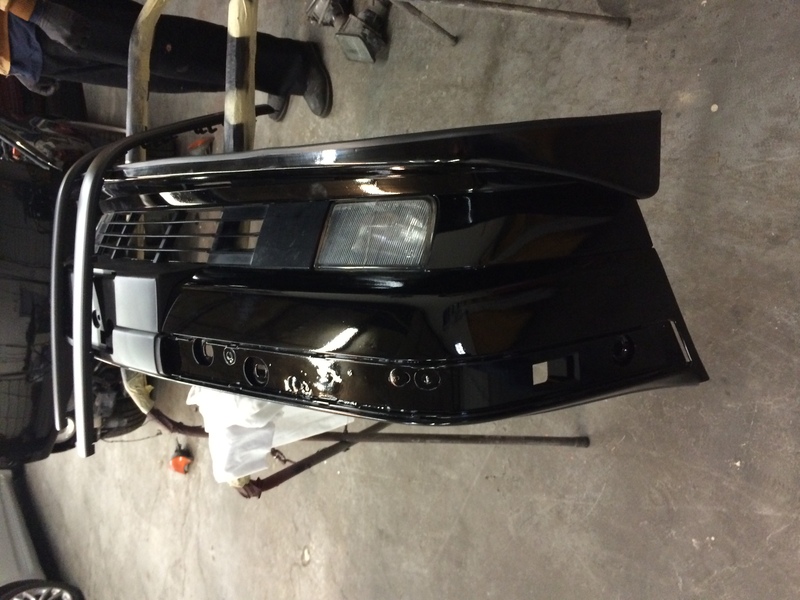 Believe it or not, bumpers for the E34 M5 are still available. The problem is that they are not cheap. I was looking at over $1500 in parts alone plus paint and installation. This was an option but not one that did any favors for my budget. I was fortunate to have a donor car for this restoration project. My donor car was a 1995 E34 525i. One of the assets my donor possessed was a great set of front and rear bumpers. Since M5 was trashed, I did entertain using a body kit to add to the aggression of this car’s look. The problem was NOBODY had anything good to say about body kits and my body guy confirmed making them work would get expensive from a labor perspective. One of my complaints about BMW’s design is that over the years it has lost that aggressive front end look the company so proudly featured in models like the late 80’s 6 series. This look is one of the reasons I fell in love with BMW. The E34 carries the lineage of this look but is missing something. In my opinion, a DTM lip is a great addition to an E34 bumper. It is an easy upgrade and gives an E34 a little of the design aggression its forefathers proudly displayed. The question was whether or not to take this route for my M5 bumper dilemma? The upside was it was very affordable. The downside is that I was clearly not keeping this M5 original. I decided to go with this option to keep the car on budget. 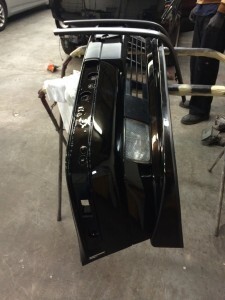 In doing so, I committed to keep an eye out for any OEM E34 M5 bumpers I could find (used or clearance) so that I would have originals should I ever want to make the car more original. Another similar decision I had to make was whether to add a rear wing to this car. I do like the look; however, doing so meant drilling holes in the trunk and permanently introducing a non-OEM part. I settled on a Rieger rear window spoiler. The Rieger spoiler attaches via glue and can be removed at a later date. I did decide to keep my 525i’s trunk instead of parting it. This gives me the option of putting a rear wing on it and interchanging the trunk lids if I wanted that look in the future. When it comes to options in a restoration, budgets are a good thing as they do force good trade-off decisions.